When it comes to Open Access (OA), libraries play an important role. As reliable partners in the literature and information supply at universities and research organisations, it is their task to procure both print and electronic media and to make them available to users. In many organisations they take on the lion’s share of the task of implementing OA, for example by running university servers and repositories, helping scholars to start up OA journals or setting up a university press themselves. Since the so-called serials crisis it has become virtually impossible for libraries to keep up with their journal subscriptions. Due to stark rising prices, all but the richest of institutions are obliged to cut the amount of journals they are subscribed to, or to engage in long and tiresome negotiations with major publishers to obtain a discount or waiver (the so-called ‘big deals’). Nowadays, most research organisations, scholarly societies and universities operate their own digital repositories. More often than not, these repositories are maintained by the libraries of the concerned institutions. From a technical point of view, building a repository is relatively easy. However, recruiting content poses more challenges and there are certain legal issues which repository operators must consider when doing so. 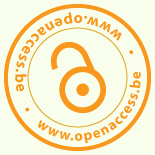 Check this pdf if you want to know more about promoting Open Access.